Choby GW, Kim J, Ling DC, Abberbock S, Mandal R, Kim S, Ferris RL, Duvvuri U. Transoral robotic surgery alone for oropharyngeal cancer: quality-of-life outcomes. JAMA Otolaryngol Head Neck Surg. 2015 Jun;141(6):499-504. Maxwell JH, Thompson LD, Brandwein-Gensler MS, Weiss BG, Canis M, Purgina B, Prabhu AV, Lai C, Shuai Y, Carroll WR, Morlandt A, Duvvuri U, Kim S, Johnson JT, Ferris RL, Seethala R, Chiosea SI. Early Oral Tongue Squamous Cell Carcinoma: Sampling of Margins From Tumor Bed and Worse Local Control. JAMA Otolaryngol Head Neck Surg. 2015 Jul 30:1-8. Ferris RL, Baloch Z, Bernet V, Chen A, Fahey TJ 3rd, Ganly I, Hodak SP, Kebebew E, Patel KN, Shaha A, Steward DL, Tufano RP, Wiseman SM, Carty SE; American Thyroid Association Surgical Affairs Committee. American Thyroid Association Statement on Surgical Application of Molecular Profiling for Thyroid Nodules: Current Impact on Perioperative Decision Making. Thyroid. 2015 Jul;25(7):760-8. Holsinger FC, Ferris RL.Transoral Endoscopic Head and Neck Surgery and Its Role within the Multidisciplinary Treatment Paradigm of Oropharynx Cancer: Robotics, Lasers, and Clinical Trials. J Clin Oncol. 2015 Sep 8. pii: JCO.2015.62.3157. Chapman, BV, Wald Al, Akhtar P, Munko AC, Xu J, Gibson SP, Grandis JR, Ferris RL, Khan SA. MicroRNA-363 targets myosin 1B to reduce cellular migration in head and neck cancer. BMC Cancer 2015 Nov 6;15:861. Li J, Srivastava RM, Ettyreddy A, Ferris RL. Cetuximab ameliorates suppressive phenotypes of myeloid antigen presenting cells in head and neck cancer patients. J Immunother Cancer. 2015 Nov 17;3:54. 2015. View Dr. Ferris's most current publications. Dr. Ferris is a head and neck surgical oncologist with an NIH R01 funded basic/translational immunology laboratory. He investigates mechanisms of anti-tumor immunity in the microenvironment, as well as immune escape mechanisms developed by tumor cells to evade NK and T cells elimination. Dr. Ferris’s lab also studies immune checkpoint receptors and cellular immune mechanisms of anti-tumor responses and immunotherapy in phase I and phase II clinical trials, as well as correlative studies of immune markers in the serum and tumor microenvironment. Dr. Ferris is the Associate Vice Chancellor for Cancer Research and the Co-Director of the Tumor Microenvironment Center. In these capacities, his goals are to facilitate and enhance development of new targets and therapeutic agents through collaborative, trans-disciplinary preclinical research and clinical application. These include immunosuppressive effects which inhibit clinical activity of cetuximab, including suppressive immunologic effects and immune escape mechanisms by tumor cells in cetuximab treated patients. Dr. Ferris is pleased to serve as contact PI of the NCI P50 Head and Neck SPORE, to further facilitate preclinical and clinical investigations, and to stimulate new collaborations. 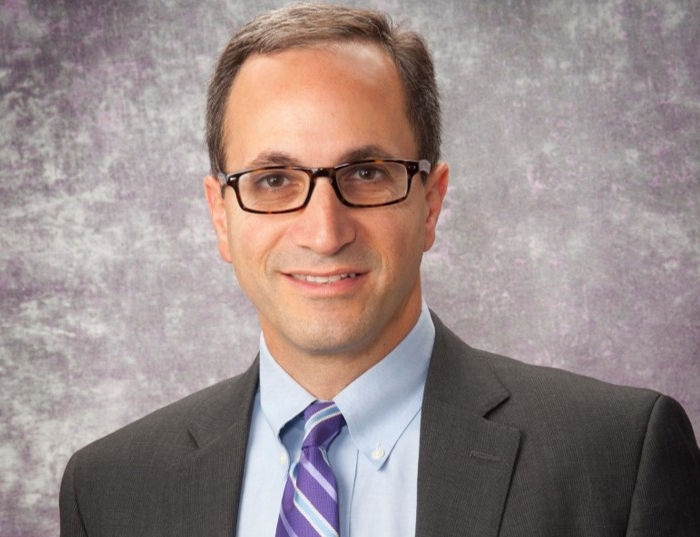 He was elected surgical oncology Co-Chair of the NCI Head and Neck Steering committee, which provides additional opportunities to leverage translational and clinical oncology research. As co-chair of the ECOG H&N committee, Dr. Ferris is leading two prospective randomized trials. ECOG 3311 (accrual 268/515) investigates the potential for surgical deintensification through reduced radiation dose in HPV+ oropharyngeal cancer patients treated with transoral robotic or laser surgery. More recently ECOG-ACRIN 3132 compares adjuvant radiation alone vs. cisplation-radiation in patients with disruptive or nondisruptive p53 alteration, using a molecular biomarker of “high risk” status.